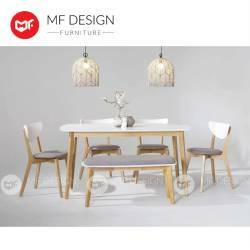 PS: Please be formed that now all the chair and table the colour change from white wash colour to natural wood colour. For all of our delivery service, your delivery location must be accessible via elevator. If the delivery crew is unable to send furniture to your location via the elevator at the point of delivery . 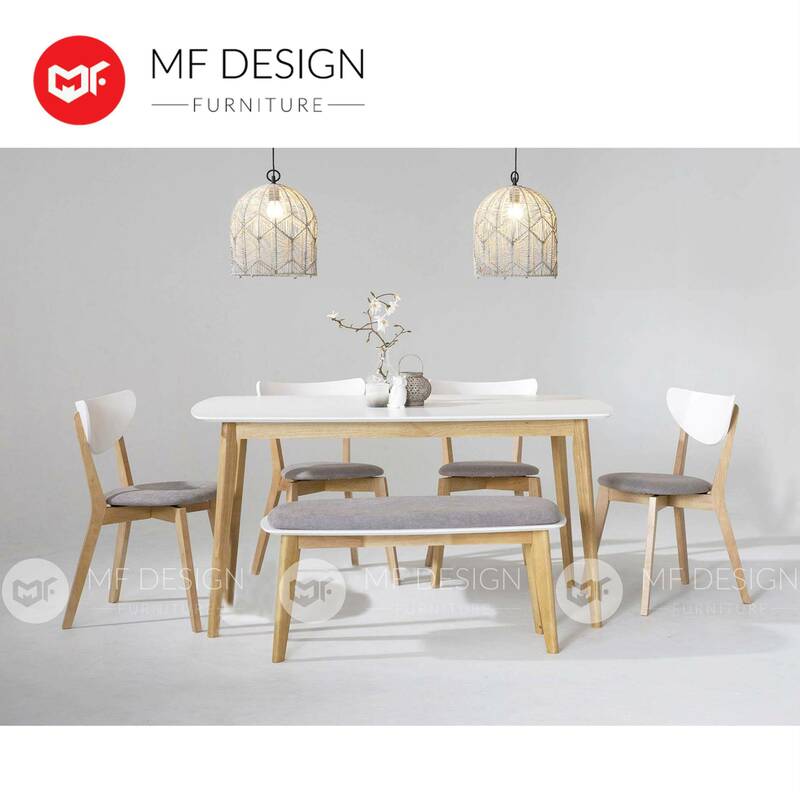 If the process is deemed hazardous, (e.g furniture or infrastructure prone to damage on narrow stairway, obstruction of passageway), In the event that delivery is deemed unfeasible, MF DESIGN FURNITURE reserves the right to cancel the delivery. Should delivery via staircase be deemed safe, additional charges per item will be as follows: First non lift-accessible storey free of charge (e.g. staircase delivery from ground floor to level two is free) + RM20 per item transported to a subsequent non lift-accessible storey (i.e. staircase delivery of a wardrobe and a kettle to the 4th non-lift accessible storey (e.g. Level 5 of a shophouse etc) will cost an additional RM120 . [(1 X 2 X 0) + (3 X 2 X RM20 ) = RM120 ]. For KL/SELANGOR, N.SEMBILAN, MELAKA, JOHOR areas, we provide delivery and assembly service for this product. Other states customer please contact our customer service at 018-2011768 for more detail.